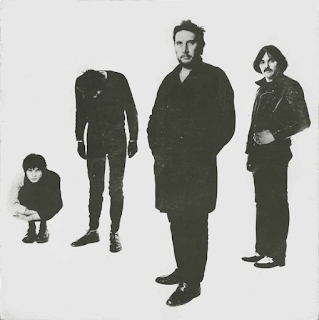 Now, I have called into question The Stranglers' punk credentials a few times in my reviews, but, for me, I find this excellent album their most punky, and most credible. The old "side one" or "white side", in particular, is vibrant, rocking, punky, bassy, thumping and an example of cleverer songwriting than on the first two albums. 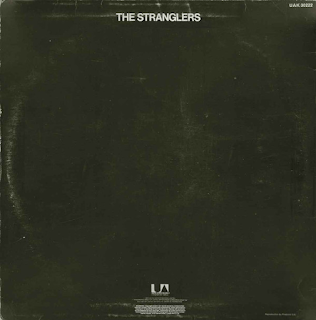 On the "black side", in many ways, The Stranglers are starting to exude signs of post punk pretty early on. On the other hand, the fist pumping punk fans are still kept happy, most of the time. The Doors-like organ dominates, as before, the riffs are chunky and strong and the drums and bass muscular. The puerile mysoginism has been replaced by subtler, wry lyrics. Personally, I much prefer this album to the previous two. By far. "Tank" is a lively track, powered by what was by now a typical Stranglers, swirling keyboard sound, together with some strong riffs and punky vocals. "Nice N' Sleazy" is my favourite Stranglers track. It is broody and malevolent, mysterious in its lyrics and deliciously sleazy, would you believe. Excellent alternate speaker noises in the middle too. The keyboard intro "Outside Tokyo" is a forerunner to "Golden Brown". The track is a convincing, slow burning, "post punk" feeling one. Once again, it shows just what better quality material the group were suddenly coming up with. The sound quality is excellent too. "Hey! Rise Of The Robots" is a breakneck punker, sort of TRB meets The Clash. Hugh Cornwell's vocals here are reminiscent of Joe Strummer in places. "Sweden (All Quiet On The Eastern Front)" is another fast-paced punky number, with those trademark organ breaks to the fore again. "Toiler On The Sea" is an impressive punky post punk number, all sorts of sounds floating here and there over its lively backing and more beguiling lyrics. The old "black side" starts with Hugh Cornwell channelling his inner Johnny Rotten on a future-shock song, "Curfew", about the government fleeing to Scotland in a post-apocalyptic world. "Threatened" is the group's most "industrial", post punk number to date, full of dense guitar sounds, deep keyboards and those typically sonorous post punky vocals. "In The Shadows" also ploughs a similar furrow, sounding like Joy Division or Gang Of Four would sound like a year or so later. This was a far more influential album than it was ever really given credit for. I like the spooky, edgy feeling to this material, particularly this song. The Stranglers were really becoming credible here. "Do You Wanna" has some raw guitar riffage and staccato drums in its intro and Cornwell remembers that he likes to sneer occasionally in his vocal delivery and the old cynicism is back, lyrically. "Death And Night And Blood (Yukio)" has some punky edginess to it and a few echoes of 1977, but they are convincing ones. The recording is a bit scratchy near the end, the one small down point regarding the sound. The keyboard on "Enough Time" is almost like an Orchestral Manouevres In The Dark riff. Once again, a year or so before that sort of electronica caught on. Overall, this was a pretty ground-breaking album, although it was never really acknowledged as being such. It definitely set the tone for The Stranglers' subsequent albums.